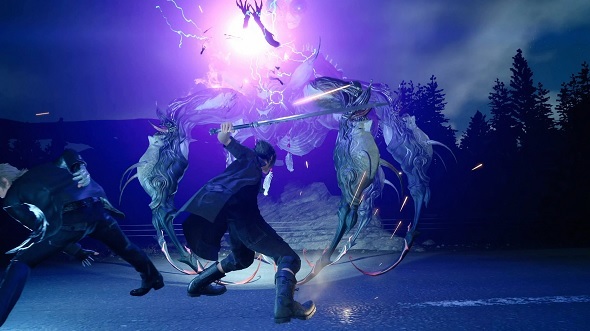 Final Fantasy XV became a much sought-after title on PC as soon as it released on current generation consoles in 2017. Square Enix listened, and so it’s now available for PC gamers everywhere in the form of Final Fantasy XV Windows Edition. Square Enix partnered up with Nvidia to improve the game’s graphics to a stunning degree, complete with GameWorks effects such as Hybrid Frustum Traced Shadows, Nvidia Voxel Ambient Occlusion (VXAO), Nvidia Turf Effects, Nvidia Hairworks, and Nvidia Flow. Additionally, Final Fantasy XV Windows Edition offers 4K texture quality and HDR10 with supported G-Sync monitors or compatible TVs. Rounding everything out is GeForce Experience, which fosters Nvidia Highlights, Nvidia Ansel, automatic game settings optimisation, and Game Ready Drivers. All of these features combined with the game’s critically acclaimed action and story make Final Fantasy XV Windows Edition the definitive experience on the PC. One of the most noticeable visual effects in modern games are shadows – in particular, how they look and behave compared to the environment. In Final Fantasy XV Windows Edition, there are quite a few enhancements to pump up shadow quality, further immersing you into the world of Eos. There’s also Nvidia Voxel Ambient Occlusion (VXAO), which further improves shadows. It does so by building off basic ambient occlusion, which creates contact shadows where two separate areas meet, or where a piece of scenery blocks a source of light that might cover another object. In effect, this means that shadows won’t come off as floating or lacking depth, and even smaller areas such as outfits and grass will appear far more convincing, as they’ll cast their own shadows. With Nvidia VXAO, all objects around you can render shadows into your area, and with amazing accuracy. This option is also located in the game’s settings menu, and you can toggle it on or off at your leisure. If you’re exploring a vast landscape with sprawling fields and rolling hills – of which there are many in Final Fantasy XV Windows Edition – you’re going to want some believable vegetation to go along with it. Nvidia Turf Effects is the perfect solution as it replaces the standard tufts with seas of tall, overflowing grass. Furthermore, Nvidia Turf Effects allows individual blades of grass to move with the wind, and they’re even realistically shadowed with Nvidia VXAO. It’s easy to turn the effect on and off through the in-game graphics settings, depending on your preferences and target frame rates. Hideous monsters and wild animals just aren’t the same without swathes of lengthy, mangy hair to back them up. That’s where Nvidia HairWorks comes in. It adds distinct strands of hairs which, when fashioned together, form distinct, realistic shaggy coats to various beasts. The hair then reacts to different effects, such as gusts of wind and player attacks. This makes every encounter with creatures in the game unique and memorable, and adds yet another layer into Final Fantasy XV Windows Edition’s superb graphics. Nvidia HairWorks is adjustable inside the game’s settings menu. Running Final Fantasy XV Windows Edition at a luxurious 4K (3840×2160) resolution with UHD textures is truly a majestic sight. With four times the number of pixels compared to the more traditional 1920×1080 resolution, 4K means richer, far superior imagery with boatloads of detail. The increased visual fidelity does require a high-end GeForce Graphics card though (as well as a supported 4K panel), so the GTX 1080 Ti is recommended for the best outcome. You’ll also want to tinker with the rest of the in-game settings to obtain ideal frame rates, but it’s well worth the effort, as Final Fantasy XV Windows Edition is one of the best-looking games around when played at 4K, even with other graphics options dialed down. There’s also native HDR10 (High Dynamic Range) functionality, which creates exceptional contrast that results in deep, awe-inspiring darkness, as well as higher peak brightness and colour saturations. This technology requires a compatible TV or G-Sync HDR Monitor for usage. GeForce Experience, if you weren’t aware, is a companion application to Nvidia GeForce graphics cards. It offers plenty of important features, many of which are supported by Final Fantasy XV Windows Edition. With the newly updated Nvidia Highlights, the technology will automatically capture gameplay based on certain actions or events, such as summoning a monster, or taking down a challenging opponent with a single combo. You can fine-tune which items you’d like Nvidia Highlights to snag through the GeForce Experience Overlay, and you can then share the screenshots, videos, or five to 15 second gifs directly to social media sites, all without ever leaving the game. For aspiring photographers or screenshot enthusiasts, Nvidia Ansel is your dream app. With it, you can pause the game at any time, and then use the freecam to rotate the screen in any direction, and take professional-quality stills with various filters. You can also create 2D or 3D VR-friendly panoramic images, and render the photos in super resolution, all the way up to a 63360×35640 super resolution. You can now upload your in-game screenshots captured with Nvidia Ansel to the brand new Shot with GeForce website for a chance to win some great prizes. With Game Ready Drivers, you’ll take comfort in knowing that you’re playing with the most recent and stable software, making for the smoothest gameplay possible. With GeForce Experience, downloading and installing the Game Ready Drivers is incredibly easy, and you’ll be notified whenever a new one is available. You can also optimise all of Final Fantasy XV Windows Edition’s game settings with just a single click, so you can jump into the RPG straightaway with zero fuss. A plethora of in-game graphics settings and supported resolutions means folks with older hardware can still run Final Fantasy XV Windows Edition, while those with beefier setups can push the visuals right to the top. With all settings dialed to “High,” we suggest a GTX 1070 for the ubiquitous resolution of 1920×1080, and a GTX 1070 Ti for 2560×1440. To make the jump to 4K – which creates a visual feast for the eyes – you’ll want a GTX 1080 Ti, and you’ll also want to experiment with the in-game settings to get the best performance possible. The settings to adjust should be based on exactly which kinds of effects you prefer over others – it’s really just a matter of taste. 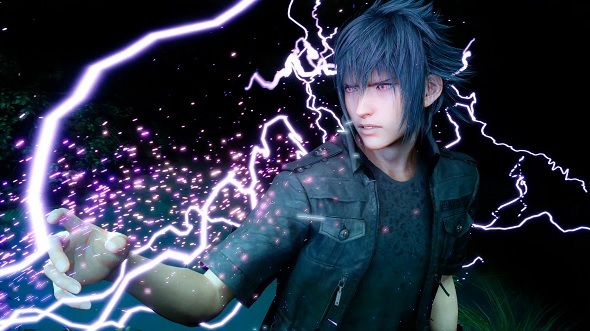 For a deeper explanation, including CPU, RAM, and storage recommendations, take a look at Square Enix’s system requirements. Regardless of which GeForce GTX graphics card you go with or which visual options you tweak, you’ll enjoy an optimised, smooth experience with Final Fantasy XV Windows Edition on PC.